Aurelian is a three color art print. 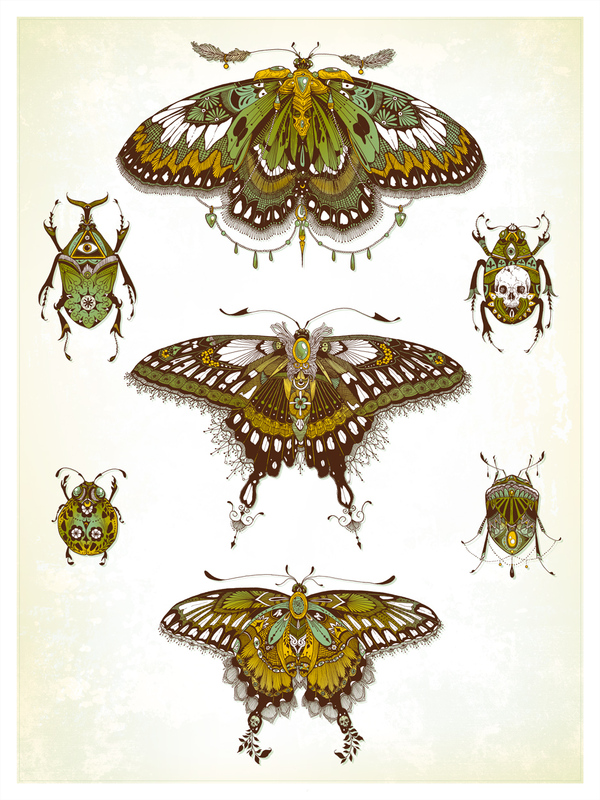 Inspired by entomology collections these little butterflies (and beetles) each represent their own myth. Design was also used as a show poster for Heartless Bastards.